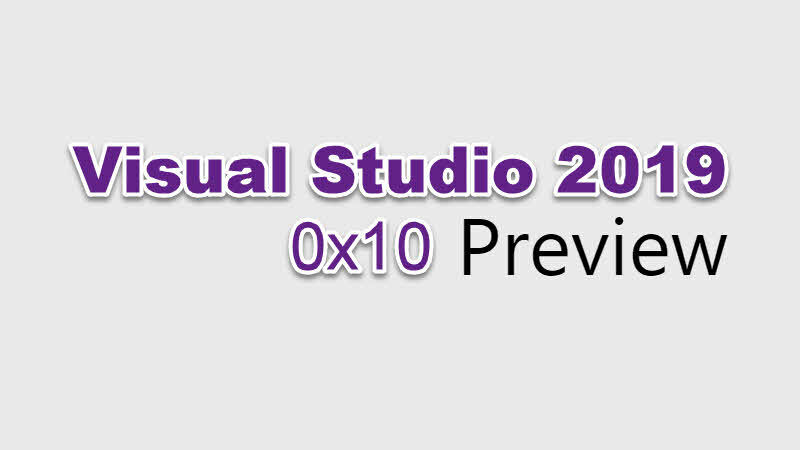 Microsoft releases Visual Studio 2019 Preview 1, which is available for download beginning today. If you are a developer and would like to experience what's coming next to Microsoft Visual Studio 2019, you can now download the preview version through the early adopters program. Here's how to download the latest version of Visual Studio 2019 preview and glimpse of the new features and enhancements released with this build. Visual Studio Preview gives you early access to the latest features and improvements not yet available in the main release. By trying Preview, you can take advantage of new builds and updates that ships frequently to the early adopters. The preview version of Visual Studio 2019 is not licensed to build shipping applications as it may contains features that may not work as expected. * Please note that, this release is not "go-live" and not intended for use on production computers or for creating production code. * You can install Visual Studio 2019 Preview side-by-side with your main release, leaving your production install undisturbed. What's new in Visual Studio 2019 Preview 1? For a complete list of changes, checkout the Visual Studio 2019 Preview Release Notes. If you have come this far, it means that you liked what you are reading (Visual Studio 2019 Preview 1 is now available for download).